Topic: Can you recommend any classic games I haven't played yet? Re: Can you recommend any classic games I haven't played yet? I want to translate to Brazilian portuguese. How can I do this? Topic: Cut-off: just our imagination? Re: Cut-off: just our imagination? I agree that a lot of cut-offs make the level ugly, but those cut-offs in SMB3 didn't make any difference in the fun factor. In fact, I only noticed then now, after years. After I saw some cut-offs in the official Mario games, I started to think if it isn't a thing from our imagination. I mean, if even the official Mario games had a lot of cut-offs, what is the problem of having some of them in SMBX levels? Topic: How to record SMBX without lag? Re: How to record SMBX without lag? How to record SMBX without lag? 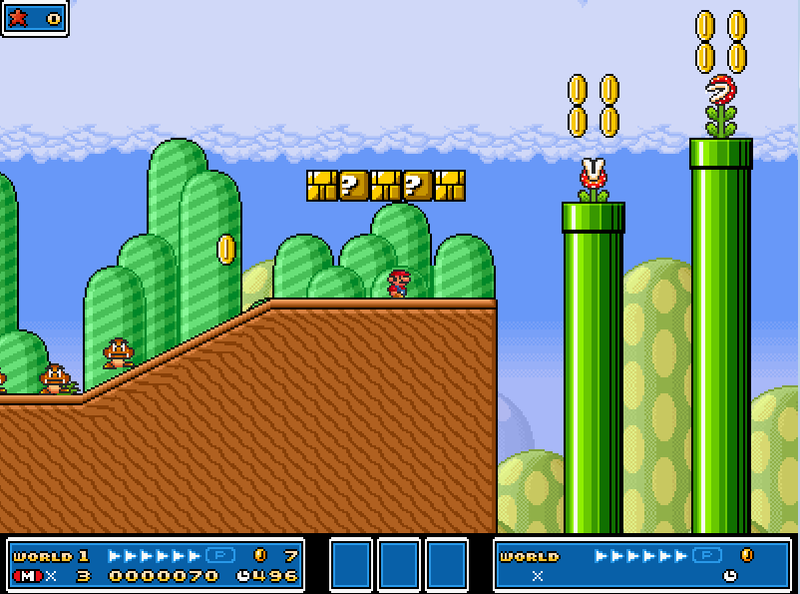 This level is an adaptation of SMB:Fierce Days first level. Enjoy! I didn't bought it, it was a gift from a good friend. Isn't there any dark magic trick to run a newer OpenGL? Supershroom wrote: Windows XP isn't supported anymore for a looong time, so I think MarioKirby should switch to at least Windows 7 anyway. Topic: Where to find SMBX 1.4.3 episodes? Re: Where to find SMBX 1.4.3 episodes? Where to find SMBX 1.4.3 episodes? Where can I find SMBX 1.4.3 episodes? Bonus question: is PGE compatible with 1.4.3 features?